By the time 64-year-old Laura Milson decided to undergo total knee replacement after 12 years of suffering from arthritis, even a short walk to the office printer was a struggle. Now she has joined Weight Watchers to drop a few extra pounds and is training for a three-day breast cancer walk in October. For years surgeons have boasted of the pain relief and improved quality of life that often follow knee replacement. But now new research suggests that for some patients, knee replacement surgery can actually save their lives. In a sweeping study of Medicare records, researchers from Philadelphia and Menlo Park, Calif., examined the effects of joint replacement among nearly 135,000 patients with new diagnoses of osteoarthritis of the knee from 1997 to 2009. About 54,000 opted for knee replacement; 81,000 did not. Three years after diagnosis, the knee replacement patients had an 11 percent lower risk of heart failure. And after seven years, their risk of dying for any reason was 50 percent lower. The study, presented this month at the annual meeting of the American Academy of Orthopedic Surgeons, was financed with a grant from a knee replacement manufacturer. It was not randomized, so it may be that these patients were healthier and more active to start with. Still, the researchers did try to control for differences in age and overall health. And the findings are consistent with large studies of knee replacement and mortality in Scandinavia. Given the big numbers in the study and the size of the effect, the data strongly suggest that knee replacement may lead to improvements in health and longevity. 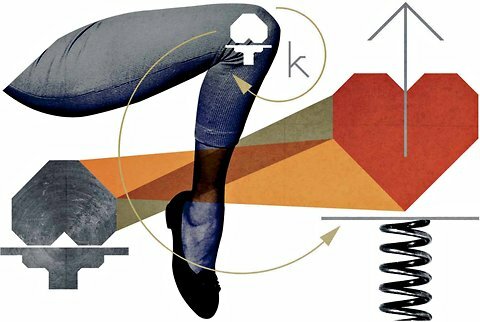 The theory behind knee replacement, said the study’s lead author, Scott Lovald, senior associate at Exponent, a scientific consulting firm in Menlo Park, is that it improves quality of life. “At the end of the day, we’re trying to figure out if quantity of life increases as well,” he added, noting that the team was conducting a similar review of Medicare data on the long-term benefits of hip replacement surgery. The founder of the Rothman Institute, Dr. Richard H. Rothman, who has performed 25,000 joint replacement surgeries in his career, urged caution in interpreting data that are not randomized and controlled. Not every patient with knee arthritis is a candidate for joint replacement surgery, he said. Dr. Rothman said that whether patients experience better health after surgery depends on motivation — how motivated they were to stay fit before surgery and how motivated they are now to become more active. Edward Moore, a 94-year-old retired chemist in Woodbury, N.J., underwent knee replacement three years ago after pain began limiting his activity. Given his age, his own daughter had worried that the recovery would be too difficult. But Dr. Rothman agreed he was healthy enough for the procedure. Mr. Moore said he had an uneventful recovery, and in September, two days after his 94th birthday, he took his wind surfer to Lakes Bay near Atlantic City. “I got up on the board, and I sailed,” he said. William Mills, 63, of Philadelphia, had been suffering for about four years with severe pain in both knees when he opted for double knee replacement in 2006. He said his activity had dropped off, and while he could still play golf, he could no longer walk the course. Even going to a restaurant had become a burden if he couldn’t find a parking space nearby. But while the rehabilitation of both knees was “the hardest thing I’ve ever done in my life,” he has no regrets. Six months after surgery he took part in a 250-mile bike ride in Germany. He has made a few compromises — he no longer skis, and plays doubles tennis instead of singles — but he says he now rarely thinks about his knees. “Before surgery, I felt like I was 10 or 15 years older than I was,” he said. “Now I probably feel like I’m 10 or 15 years younger than I am.